I could use a slice of heaven similar to this one…November has been chaotic! Santa: Are you going to bring me a vacation to Greece, or what? 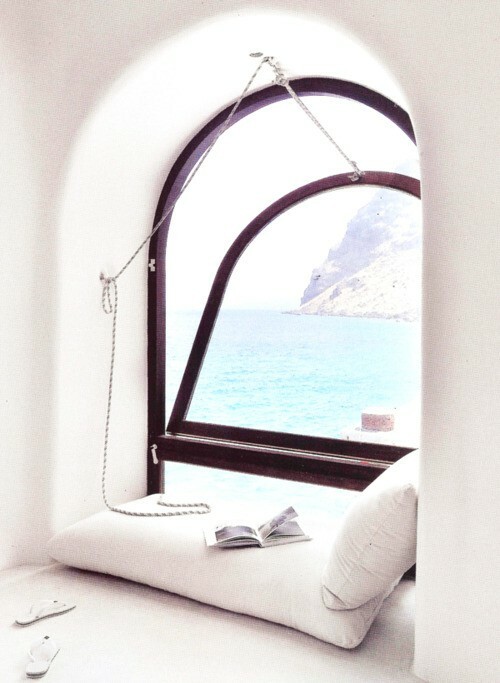 The best nook to read a book! Wow! After reading, you can jump into the water. Great place! Thanks for sharing it, Katrina. Perhaps I’ll take my daughter there as a reward for enduring all the rigorous, Asian-style, horseback riding lessons. Your daughter’s a lucky girl! Be sure to take pictures. I want to live vicariously through your trip. That ain’t shabby either, my sweet cousin! !